Discover the vibration of your name. The Soul Plan System has its roots in the ancient Hebrew Gematria, which is commonly associated with Hebrew Numerology. As such, it is based on a system of applying a numerological value to each letter, with each number representing a different creative force or energy. In its modernized form Soul Plan also has influences with a non dualistic vision and aspects of Taoism. Derived from ancient texts such as the Zohar and the Sefer Yetzirah, which explores creation of apparent reality through sound, letter and word. It also includes a method of gematria channelled by Dr Frank Alpher 1930-2007 in his Spiritual Numerology of Moses work. In the Soul Plan system the interpretations have been modernised and expanded by Blue Marsden who has also channelled additional material which highlights the theme of non duality. At a deeper sense our world is unified and composed of vibration and light and in many ancient traditions and cultures it was known that ‘speaking or singing’ creates a vibration of creation. So for instance in Christianity the phrase ‘In the beginning was the word’, is used to symbolise the vibrational energy of creation and in Hinduism this creative sound is AUM (OM). In modern times we now see that the ‘name’ when typed into a search engine on a computer, instantly ‘creates’ what has been typed, just as Thoth, an ancient Egyptian God would set or establish objects by writing down the sound. So words have power to create. Your birth name signifies your appearance as a ‘separate entity’ in this world, along with your cultural, geographical, biological and astrological conditions and thereby makes us an ‘individual’. As a small baby you have no sense of this ‘individual identity’, but as we grow we become aware that our ‘name’ in essence is our calling tag, is how we know ‘our individual ‘ self to be. Usually, your name will be given by the ‘primary care giver’, although some philosophers and mystics would agree that it is the incarnating soul that actually chooses the name. So, it is known before birth. The sound vibration and intent of your full birth name plays a major role in both voicing and echoing back the circumstances that inform this personal experience. In order to understand your own personal experience deeper one must then look at the vibration of contained within the name and the corresponding sounds and letters. When we analyse the vibration of our birth name, we come to a clearer understanding of the energies that have accompanied us into this life and can therefore create a ‘higher understanding’ of our challenges and talents that we have been born with. 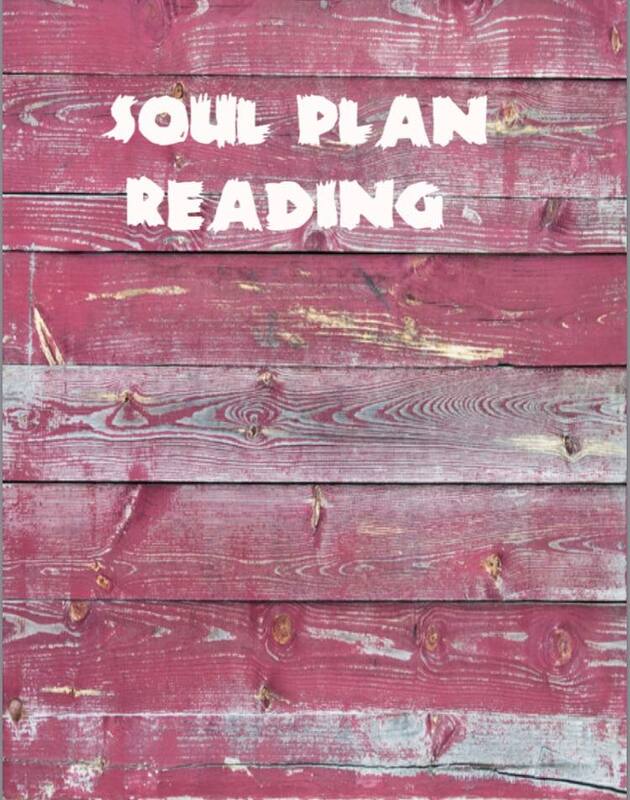 How can a Soul Plan Reading Help me? A Soul Plan Reading, will introduce what, for most people at this time, will be an entirely new and fascinating way of seeing your life. Simply by reading your Soul Plan can bring create clarity and healing into your life and can accelerate spirtual growth of oneself. In simple terms it is an effective tool that can help us understand ourselves better, bring clarity, direction and focus to our lives. To view a sample Soul Plan Reading Click here. Purchase your soul plan reading now- Please allow up to 72 hours for delivery, be sure to include the mail address you want it sent to and the FULL name at BIRTH for which you want the plan to be read.